We had to complete our list to start off your week, so here are the final six reasons to drink coffee daily! Not only does coffee taste great and perk you up, it has an endless array of positive effects on your health. Here are six more reasons why a cup a day can truly help you feel better and actually live a healthier life. Coffee can make you a better athlete! A 2011 New York Timesreport confirmed what people had thought for years — coffee can help improve your workout. A cup of coffee before a workout can help to jolt performance, particularly in more endurance sports like running and cycling. This is because the caffeine helps to increase the number of fatty acids in the bloodstream, which allows athletes’ muscles to absorb and burn those fats for fuel, saving the body’s small reserves of carbohydrates for later on in the exercise. Also, the results of a recent Spanish study showed that those who enjoyed a cup of coffee prior to their workout burned more calories than those who didn’t. Trained athletes who took in caffeine prior to exercising burned roughly 15% more calories for three hours post-exercise compared with those who ingested a placebo. Coffee could reduce your risk of developing Type 2 diabetes. According to a study conducted by The American Chemical Society, coffee consumption can help lower a person’s risk of Type 2 diabetes. The study’s researchers found that people who drank four or more cups of coffee each day reduced their chance of developing the disease by a whopping 50%. Plus, the risk continued to decrease by 7% with each subsequent cup of coffee. Coffee can help keep your brain healthy. Coffee may make you smarter. Yes, smarter! In a 2006 Time magazine report, journalist Michael Lemonick, himself an avid coffee-drinker, found evidence to suggest that caffeine allows your brain to work in a more efficient and smarter way. “It allows you to use what brain power you have in a much more efficient and focused way,” he said. “When you’re sleep-deprived and you take caffeine, pretty much anything you measure will improve: reaction time, vigilance, attention, logical reasoning — most of the complex functions you associate with intelligence.” We’ll drink to that! Coffee consumption has been linked to lower levels of suicide. We have already discussed how the high levels of antioxidants in coffee can help make people feel happier — but to take that one step further, a study conducted by the Harvard School of Public Health found that drinking between two and four cups of coffee can reduce the risk of suicide in men and women by as much as 50 percent! The reason is thought to be because coffee acts as a mild antidepressant by aiding in the production of neurotransmitters like serotonin, dopamine and noradrenaline. Coffee could help with Parkinson’s disease. Many studies have reported that people who consume more caffeine are less likely to develop Parkinson’s disease. But according to aScienceDaily report in 2012, drinking coffee may help people with Parkinson’s disease to control their movement. “Studies have shown that people who use caffeine are less likely to develop Parkinson’s disease, but this is one of the first studies in humans to show that caffeine can help with movement symptoms for people who already have the disease,” said Ronald Postuma, MD, the study author. Why drinking coffee every day is good for your health. Here at Rae’s Cafe, we can come up with countless reasons to drink coffee —namely because we have endless coffee products that are a great addition to any active lifestyle. But there are reasons beyond mere enjoyment and flavor, as many different studies are constantly showing. Here are five great reasons that adding a cup of coffee to your day is not only a pleasure, it’s good for you! Coffee is a great source of antioxidants! According to a 2005 study, Americans get more of their antioxidants from coffee than from any other dietary source — nothing else even comes close. The study also found that while many fruits and vegetables are high in antioxidants, the human body seems to most readily absorb those found in coffee. Antioxidants are substances that help prevent the damaging effects of oxidation on cells throughout the body — so they are always a good thing! In addition to helping people to wake up each morning, simply the smell of coffee has been found to make people feel less stressed! Researchers at the Seoul National University examined the brains of rats who were stressed with sleep deprivation, and found that the rats that were exposed to coffee aroma experienced changes in the brain proteins tied to that stress. 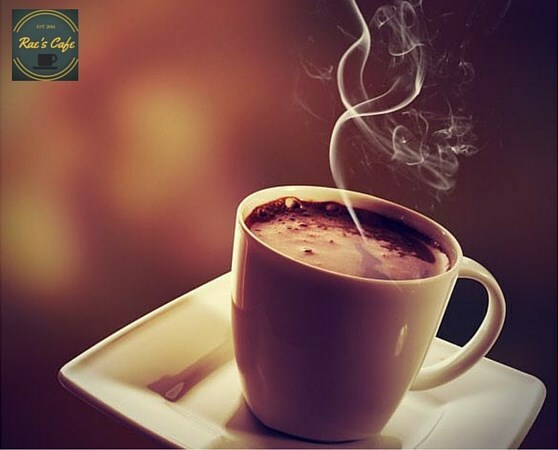 So next time you’ve had a sleepless night, a cup of coffee is definitely the answer! A 2006 study (which included 125,000 people over 22 years) found that people who drink at least one cup of coffee a day are 20% less likely to develop cirrhosis of the liver (an autoimmune disease caused by excessive alcohol consumption that could lead to liver failure and cancer). Similar studies have also shown that coffee can help prevent people from developing non-alcoholic fatty liver disease (NAFLD). 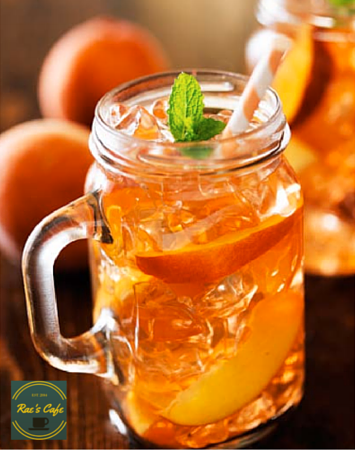 So whether you are a whiskey connoisseur or a teetotaler, coffee can help protect your liver. Coffee can help make you happier! A National Institute of Health study revealed that people who drink four or more cups of coffee per day were about 10% less likely to be depressed than those who had never touched the stuff. The study author, Honglei Chen, MD, PhD, stated that the reason coffee makes you feel good is thought to be because of those trusty antioxidants. Coffee could help protect you from skin cancer. A study at the Brigham and Women’s Hospital and Harvard Medical School (which followed 112,897 men and women over a 20-year period) found that women who drink three or more cups of coffee a day are much less likely to develop skin cancer than those who don’t. Ganoderma lucidum is a key ingredient in the Organo’s line of products that compliments the healthy lifestyle that is at the core of Rae’s way of life. At Organo, they use only the finest Ganoderma lucidum, creating a flavorless, invisible powder that adds amazing properties to everything from coffee and tea to personal care products. Ganoderma lucidum has a long and prestigious history — and has been used in traditional Chinese medicine for over 2,000 years, making it one of the oldest mushrooms known to have been used medicinally. The proliferation of Ganoderma lucidum images in art began in 1400 AD, and they are often associated with Taoism. However, the mentions of the mushroom soon extended beyond religion. The Ganoderma or “Lingzhi” mushroom was often mentioned in ancient Chinese texts such as medicinal and herbology books, and was featured in much artwork, including wood block prints in early mycology (the study of fungi) history books. Ganoderma lucidum is a potent source of antioxidants. The Encyclopedia of Natural Medicinesays it contains one of the highest concentrations of antioxidants in any food. It’s official — gone are the days of people thinking of coffee consumption as a “vice.” Recent scientific findings indicate that coffee can help you improve your performance at the gym! According to a recent study, those who enjoyed a cup of coffee prior to their workout burned more calories than those who didn’t. The Spanish study, which was published in the International Journal of Sport Nutrition and Exercise Metabolism, found that trained athletes who took in caffeine pre-exercise burned about 15% more calories for three hours post-exercise, compared to those who ingested a placebo. This isn’t the first study that has demonstrated the positive effects of caffeine, which has been shown to help increase a person’s heart-rate, circulation and mental alertness— all positive things in a fitness environment. So, why not make this new study your new motivation to hit the gym, take that walk around the lake, go on that bike ride or make it to that yoga class? Just whip up a 12 ounce cup of Rae’s Gourmet Black Coffee before you head out to really maximize your exercise performance. Coffee is becoming increasingly popular in the Philippines, both as a beverage and as revitalized agricultural industry. 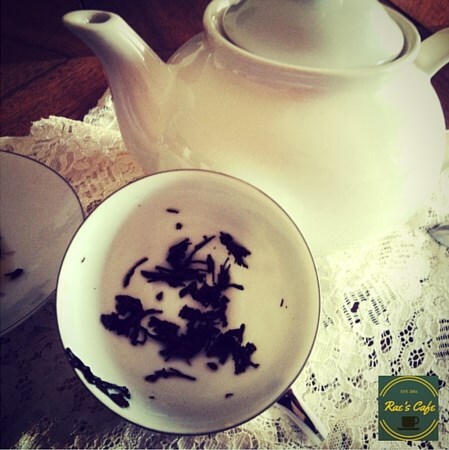 Here are some fun facts about the coffee industry, culture and traditions of the Philippines. Coffee is strongly associated with family and traditional holiday celebrations, such as Christmas, a time when many people enjoy coffee with friends and family after mass services during the many festive celebrations leading up to Christmas Day. Coffee is often a popular addition to so-called “balikbayan boxes”, which are care packages that are often sent home by family members working overseas. Such boxes usually contain sought-after items such as coffee, tea, chocolate, and magazines. The growth and export of coffee beans was once a major industry in the Philippines, which 200 years ago was the fourth-largest coffee producing nation in the world. The coffee growing industry was struck by a bout of fungus known as “coffee rust”, which spread through much of Africa and Asia in the late 1800s and early 1900s, devastating the industry in the Philippines in around 1889, and forcing many farmers to switch to other crops. The Philippines now has a comparatively small coffee industry, but efforts are being made to revive it, as coffee popularity and consumption continue to rise. The Philippines is believed to be one of the few places that can grow all four primary coffee bean varieties — namely Arabica, Robusta, Liberica and Excelsa. One particular type of Liberica coffee is known in the Philippines as Kape Barako (in English, Barako coffee), and is said to take its name from the Tagalog word for wild boar — because apparently the animals are fond of snacking on the plant’s leaves and berries. In a 2012 report by the Philippine Coffee Board, it was noted that the Philippines was producing an estimated 30,000 metric tons of coffee a year, up from 23,000 metric tons just three years earlier. It’s easy to tell when people start using Rae’s Premium G3 Beauty Soap — they generally cannot stop talking about soap! And sure, we realize that with its amazing moisturizing formula — packed with goodness such as grape seed oil, Ganoderma lucidum and antioxidant-boosting glutathione — this is certainly more than just your average bar of soap. The earliest recorded evidence of the production of soap-like materials dates back to around 2800 BC in ancient Babylon. A formula for a soap-like substance, consisting of water, alkali, and cassia oil, was found written on a Babylonian clay tablet that dates back to around 2200 BC. The ancient Egyptians are believed to have bathed regularly and used the combination of animal and plant oils with alkaline salt to produce a soap-like substance. Roman philosopher Pliny the Elder wrote of the Phoenicians using soap as early as 600 B.C. Early soaps were generally used for cleaning clothes and for curing animal hides. It was the Romans who are thought to have first begun using soap on their bodies as part of bathing, and thus spread their soap-making skills across Europe. By the eight century, soap was common in France, Italy, and Spain, but the rest of Europe rarely used it until the 17th century. Soap production began in England around the end of the 12th century. Soap-manufacturers had to pay a heavy tax on all the soap they made. Early soap makers simply boiled a mixture of wood ash and animal fat. A foam substance formed at the top of the pot, and when cooled, it hardened into soap. Around 1790, French chemist Nicolas Leblanc patented a method of making lye from an ordinary salt, replacing the wood ash as an element of soap. Another French chemist, Eugene-Michel Chevreul, discovered the chemistry behind the relationship of glycerin and fatty acids and put the soap-forming process (called in English saponification) into concrete chemical terms in 1823. Soap was manufactured with industrial processes by the end of the 19th century, though people in rural areas continued to make their own soap at home. 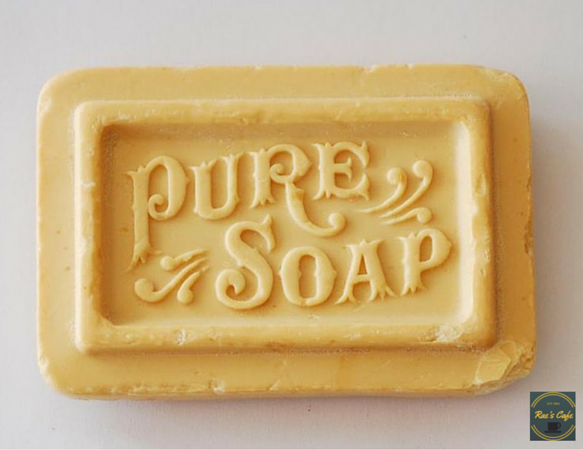 By 1890, many different types of soap were offered by the five major companies that emerged in the soap industry, these being, Colgate, Morse Taylor, Albert, Pears, and Bailey. Ethiopia is thought to have been the birthplace of coffee — by now we all know the story of the Ethiopian shepherd who noticed his goats becoming particularly energetic after eating the vivid red coffee berries. 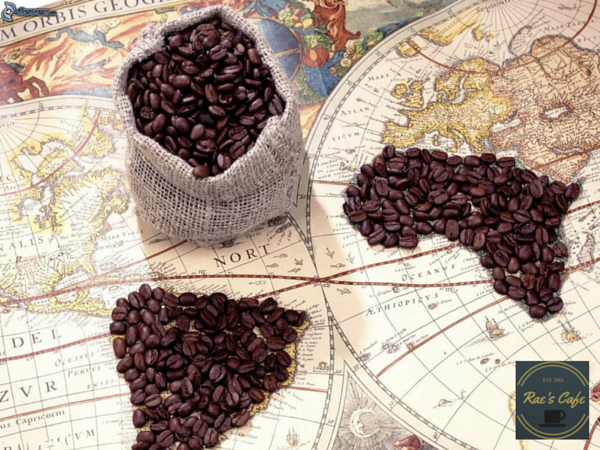 So it’s no wonder that Africa has a rich history in coffee, as well as a thriving coffee industry. Africa is one of the top coffee producing regions in the world, with many nations, including Ethiopia, Uganda and Kenya, counting coffee as one of their key crops and exports. The coffee plant originates from the highland forests of Ethiopia. 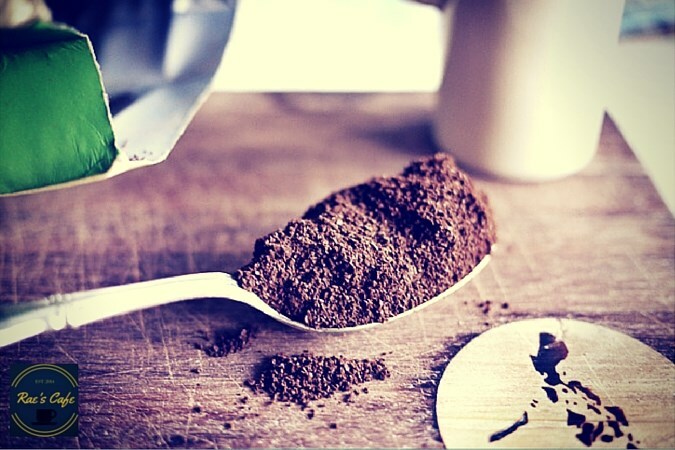 It is believed that the first plants were found growing wild in the region of Kaffa, which is where coffee derives its name. Today, Ethiopia is Africa’s top exporter of Arabica beans, and the nation’s coffee industry employs an estimated 12 million Ethiopian people. A wide range of dry and wet processed coffees are produced in Ethiopia, and all have a reputation for their winey, fruity and floral flavors. Ethiopian Arabica is considered by many to be the finest coffee produced in Africa. The Oromia Coffee Farmers Cooperative Union (OCFCU) in Ethiopia is the largest organic coffee exporter in the world. The nation of Uganda produces primarily Robusta coffee beans, and the humble bean accounts for approximately 75 percent of the country’s export revenue and provides employment for around 80 percent of all rural workers. In Kenya, the export of coffee beans is one of the biggest industries, yet tea is a more popular beverage in Kenyan culture. Kenya’s high-grown, wet-processed Arabica is considered one of the worlds great coffees, and is characterized by a flavor that is full bodied, acidic, slightly winey and very smooth, with a dry winey aftertaste. Coffee berries provided a precursor to the modern day energy bar — it is believed that some East African tribes would mix the berries with animal fat to form edible energy balls.